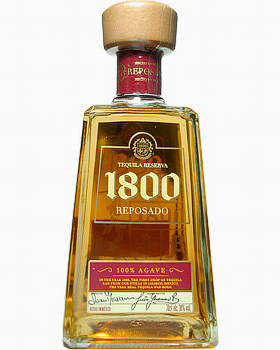 Tequila 1800 is named in commemoration of the year which the first expertly aged Tequila was unveiled, 1800 still follows the standards of the original formula, created in 1800: Eight-year-old-agaves and superior French and American oak wooden barrels selected by the 1800 Maestro Tequilero (Master Tequila Blender) are used. It's a painstaking process - but one that yields a super-premium product. This Product was added to our catalogue on Tuesday, 02. September 2008.